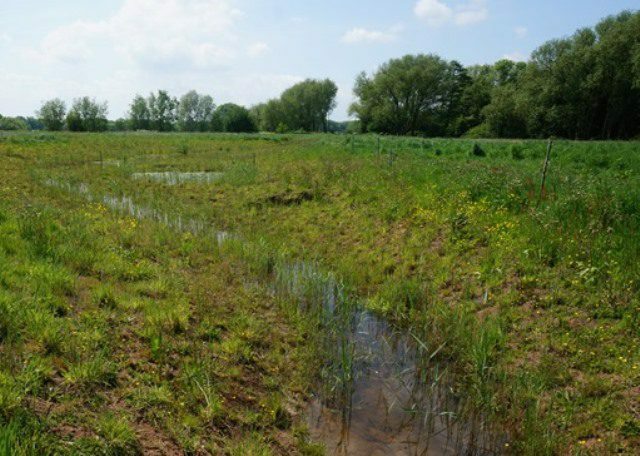 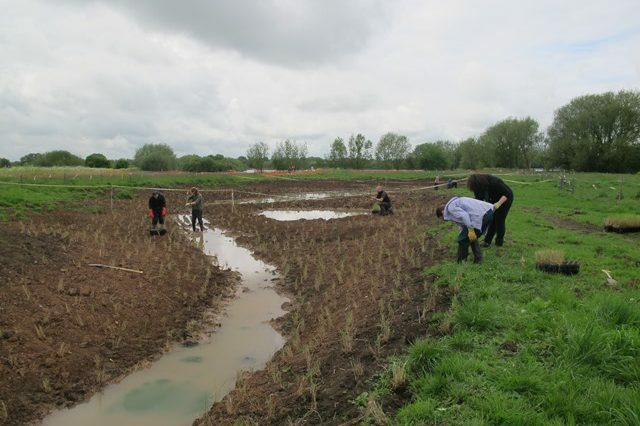 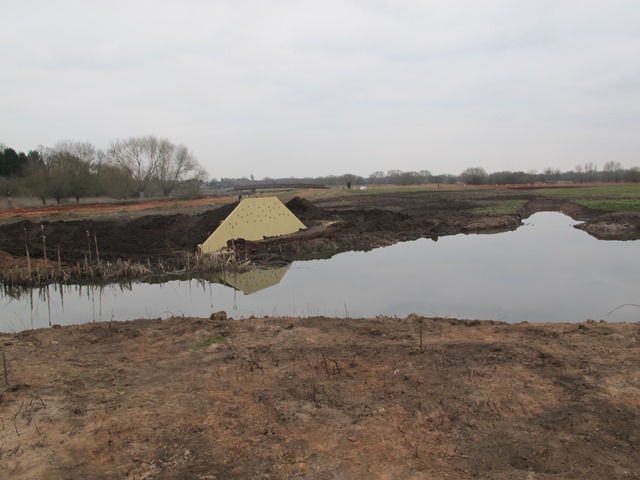 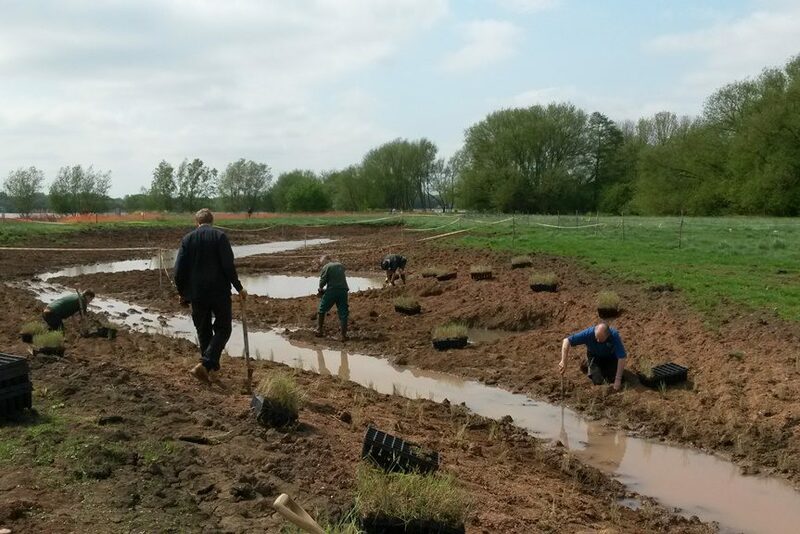 Lets take a look at the Community Wetlands at Kingsbury Water Park a year on after all the planting and seeding to create an exciting new wetland area with an array of habits. 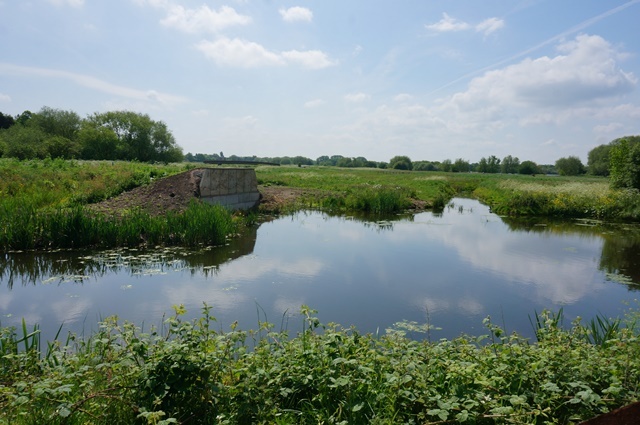 Use the slider to show the before and after photos. 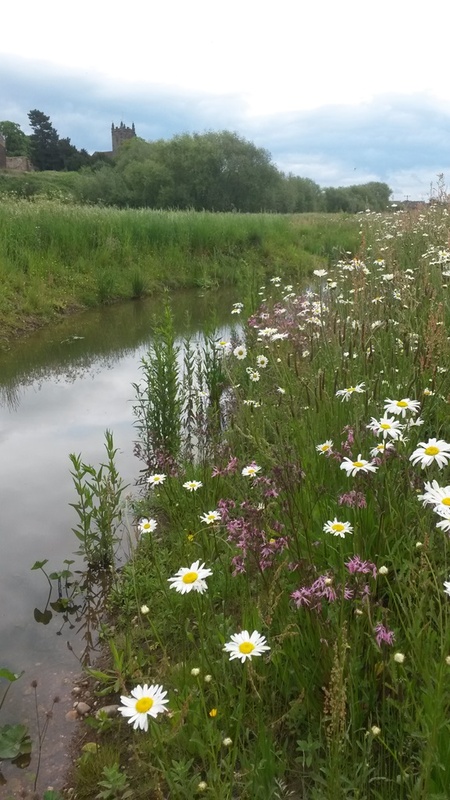 The edge of Skan Pool has beautiful wildflowers including ragged robin and oxeye daisy, planted and seeded by corporate volunteers from Amey plc and PWC in May/ June 2016. 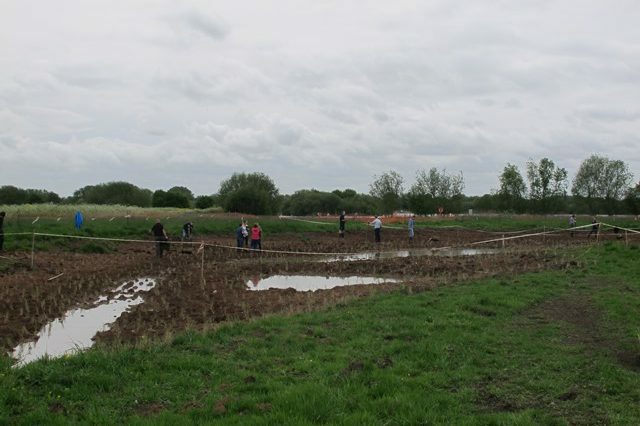 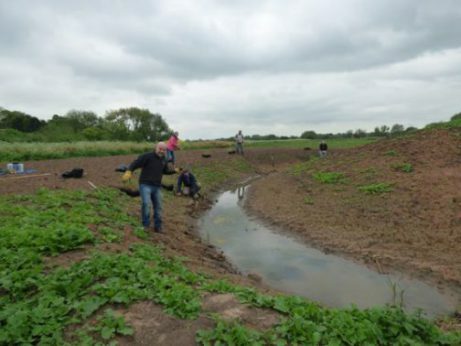 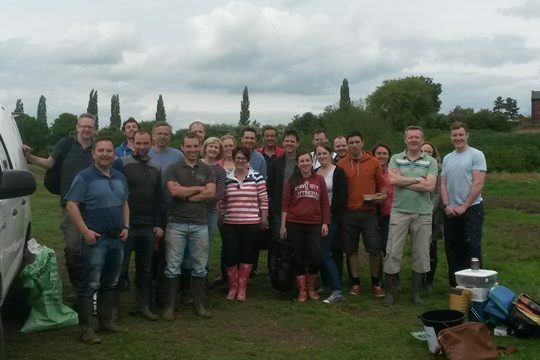 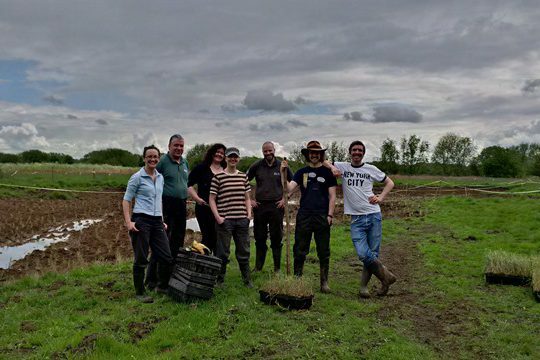 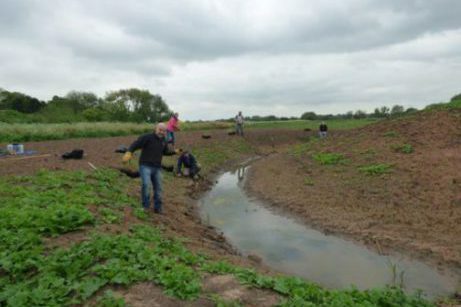 Corporate volunteers from the Environment Agency HS2 team, Kingsbury Volunteers and PWC planted up the dry reedbed area. 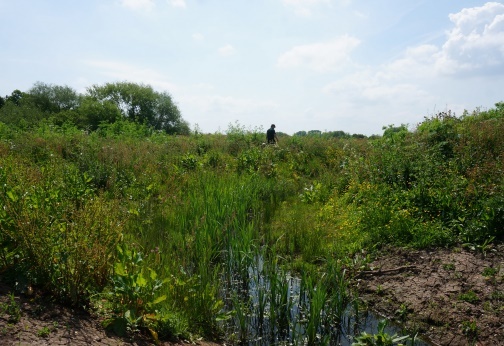 The reeds are growing well with buttercup spreading naturally. 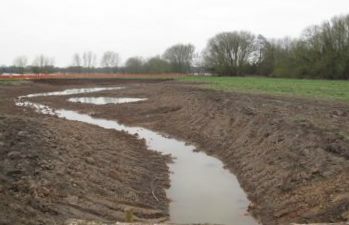 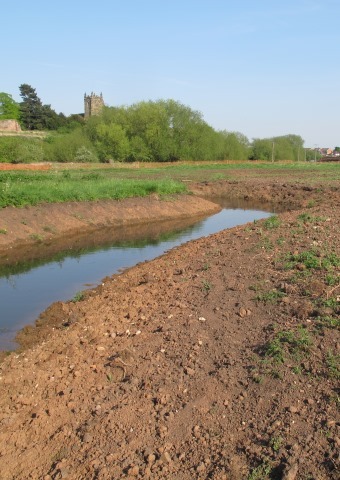 The new improved sand martin bank finished in February 2017 will soon be covered with vegetation. 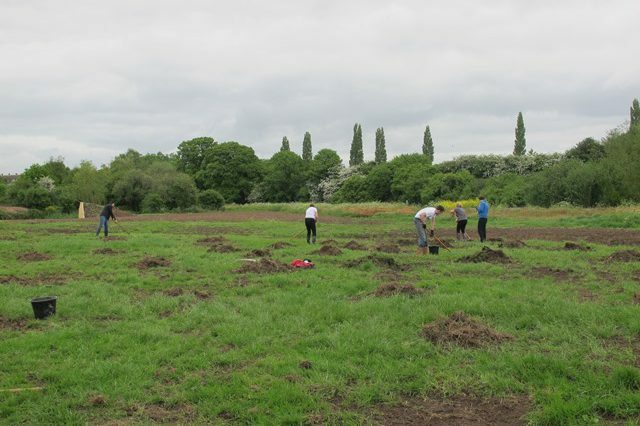 Thank you to the wonderful volunteers who have carried out the hard work to make this a success.